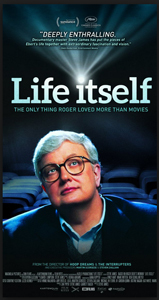 We have a bunch of pairs of tickets to see Life Itself at the Ritz Five on Tuesday, July 1st at 7:30pm. To enter, email us, with your name and tell us how you think Roger Ebert’s legacy will influence future generations. Winners will be chosen at random, only one entry per household please. The title makes me curious. I don’t know how it will affect me.